Your Key Performance Indicators can be conveniently displayed in a Scorecard format. A dial will present your overall dashboard performance. Each KPI is given equal weighting in the performance calculation on your Scorecard. 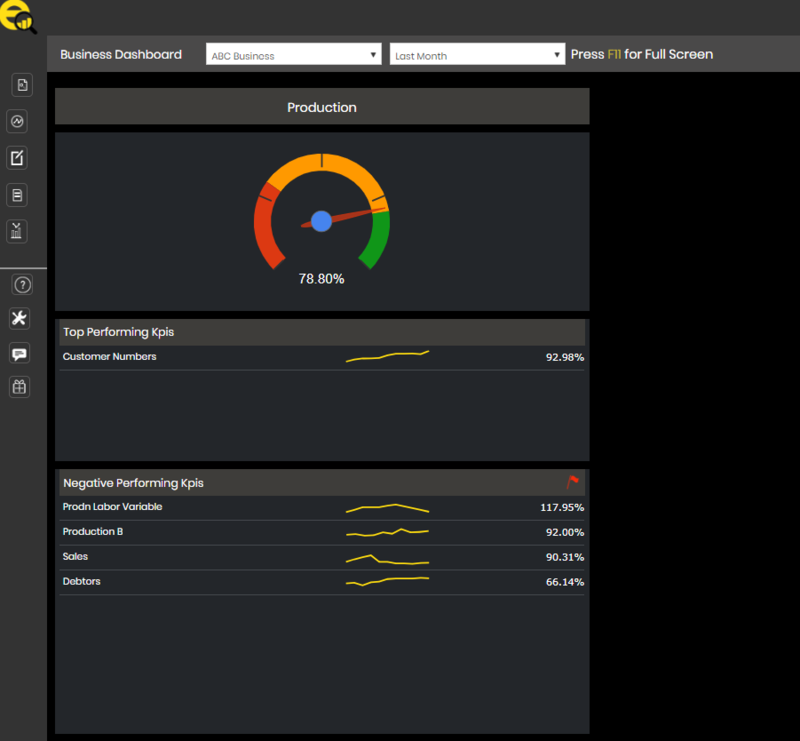 The scorecard will display the performance of all the dashboards recorded under a business. Highlighted KPIs include the "Top Performing KPIs" and any "Negative Performing KPIs. In the overview Screen just select Dashboard from the menu above.